Our standard products use a printing production style called gang-run printing; this allows us to print several orders for several customers at one time. 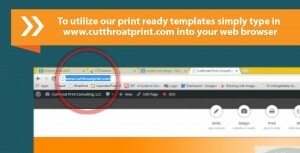 This is the process that allows Cutthroat Print Consulting to give you deep wholesale discounts. 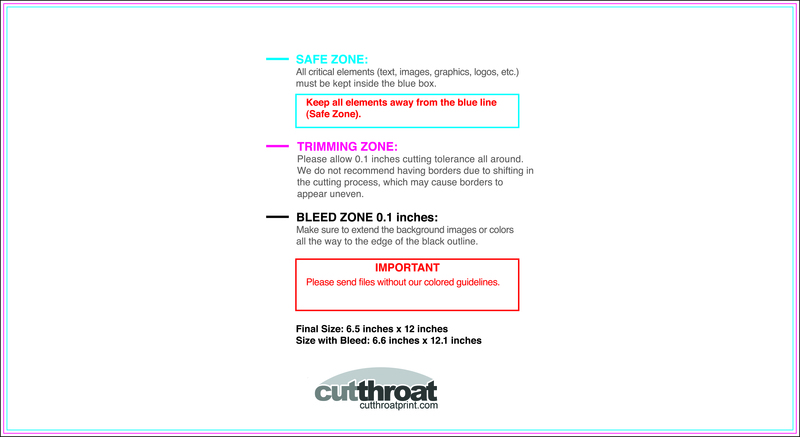 In order to print your materials this way however, we must receive your files in the correct format using our sizing templates; this allows us to take all the guess work out of sizing, bleeds, folds, trims, resolution, and color codes to ensure you receive exactly what you ordered. Step 2: Scroll to the bottom of the page to the template section. 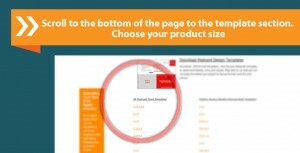 Choose your product size, and save the .jpg template file. 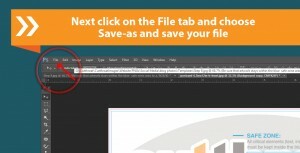 Step 3: Locate the file and open in your preferred design program. Industry standards include Adobe photoshop, Illustrator or InDesign. *Free or outdated programs such as Publisher and Word do not contain the proper capabilities to ensure your files will print in high resolution or correct color codes on offset printing. 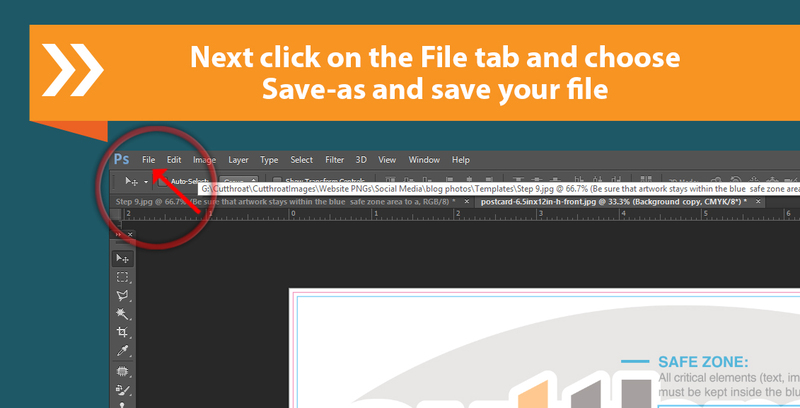 Step 4: Once your file is open, create a duplicate layer of the file. 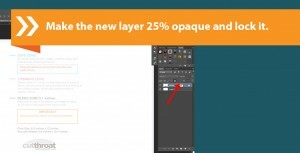 Make the new layer 25% opaque and lock it. 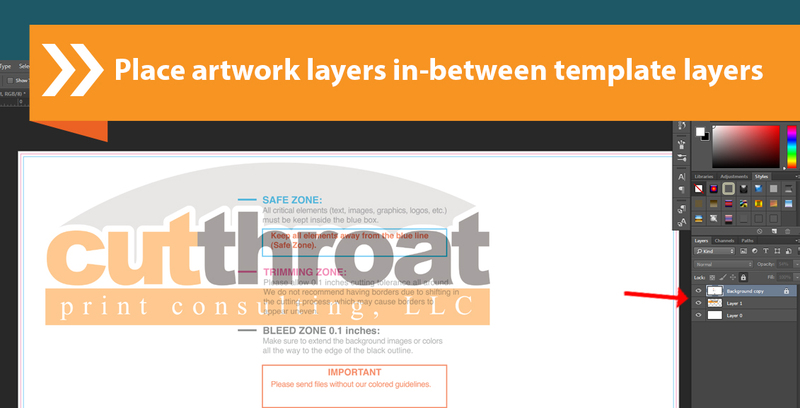 Add your design layers as sandwiched in between the two layers. You can hide the top opaque guide layer while designing. 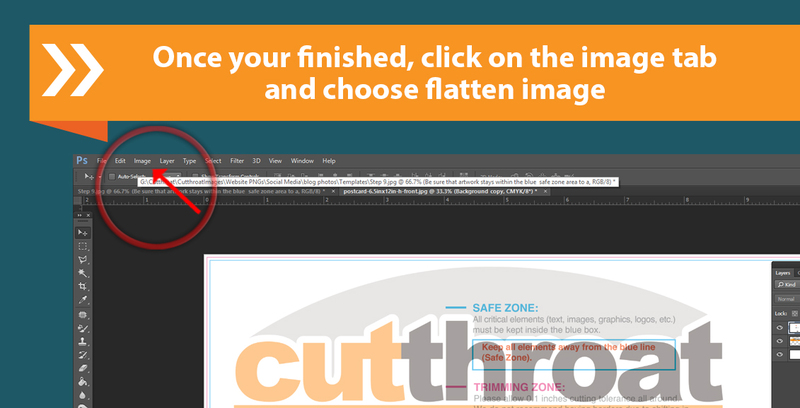 Step 5: Before saving your final image, check and make sure your copy and the necessary artwork is in the safe zone, but also bleeds to the edge trim marks. 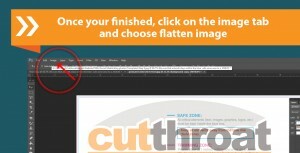 Step 6: Once you have designed your piece you will need to save your image properly. 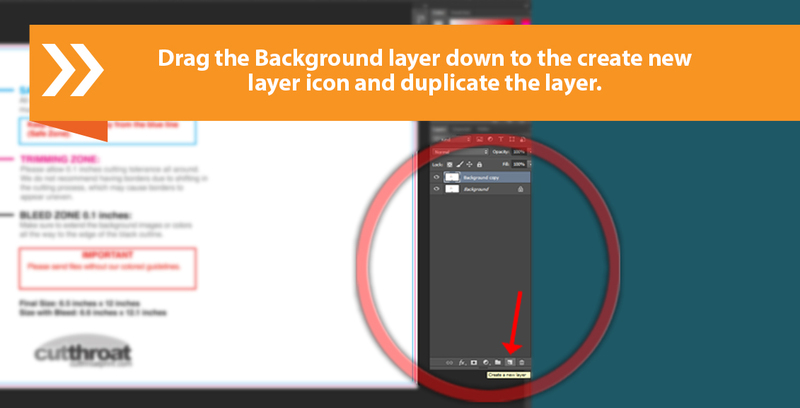 You will need to merge all of your layers into a flattened image. 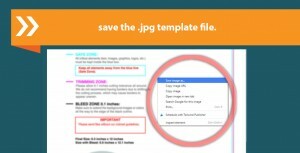 Importing the .jpg template ensures that you are meeting our guidelines with a CMYK color code and a resolution setting of 350 dpi. 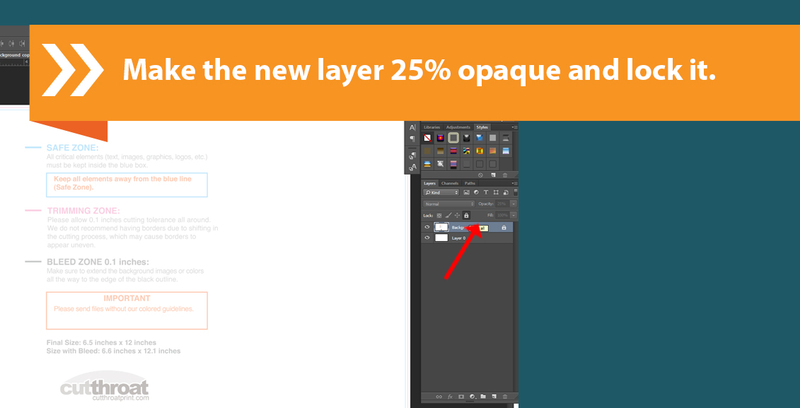 Step 7: Remove the opaque guide layer, merge all of the layers, and save your image as a .pdf. 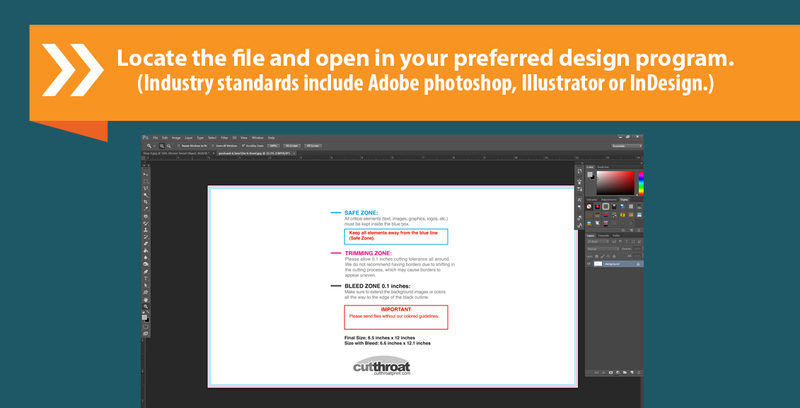 Print-ready files can be very large and exceed most email capabilities. 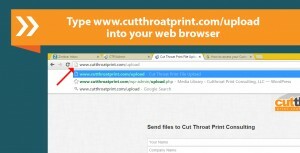 To ensure we receive your artwork, use our upload system at www.cutthroatprint.com/upload. 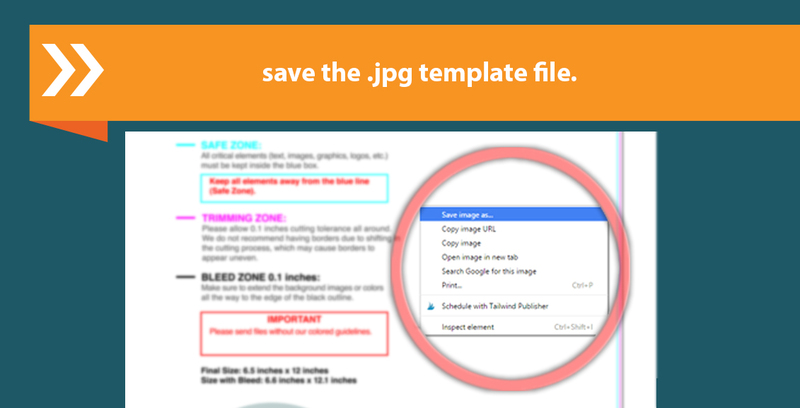 It is imperative that any designer or client uses our templates. 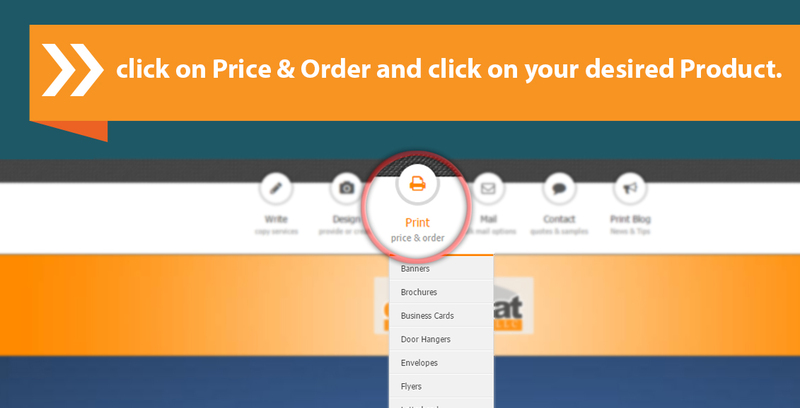 These templates are set up to meet our printing standards and can avoid costly mistakes. 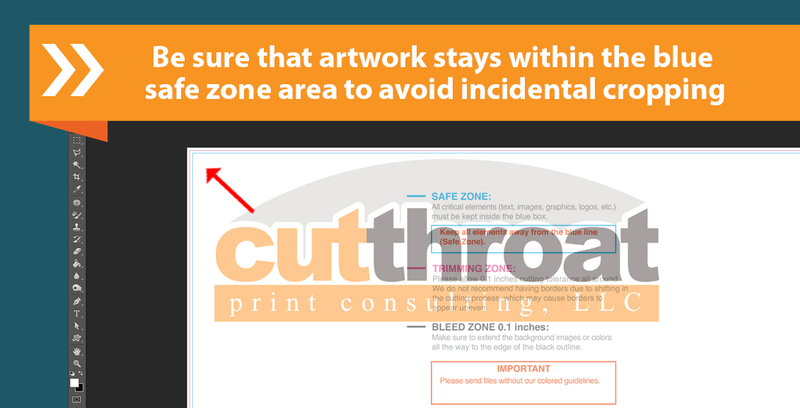 Don’t worry—we will always check your artwork and notify you if anything looks unusual or if your files are not set up properly. If you have questions about using our templates, simply contact us. 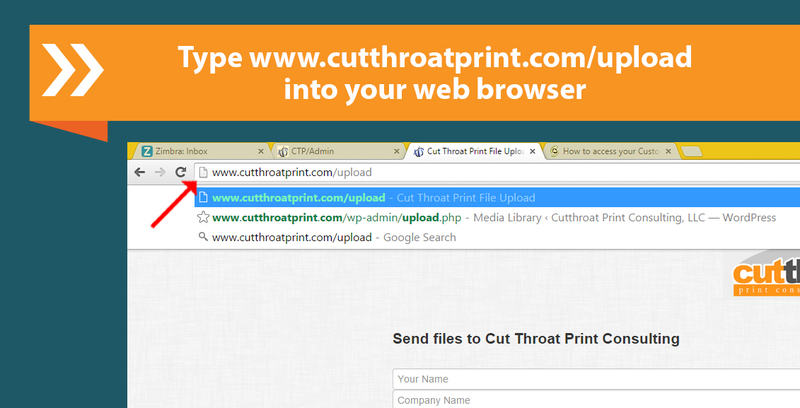 We look forward to receiving your print-ready files! 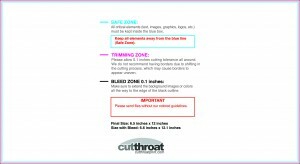 Thanks again for choosing Cutthroat Print.